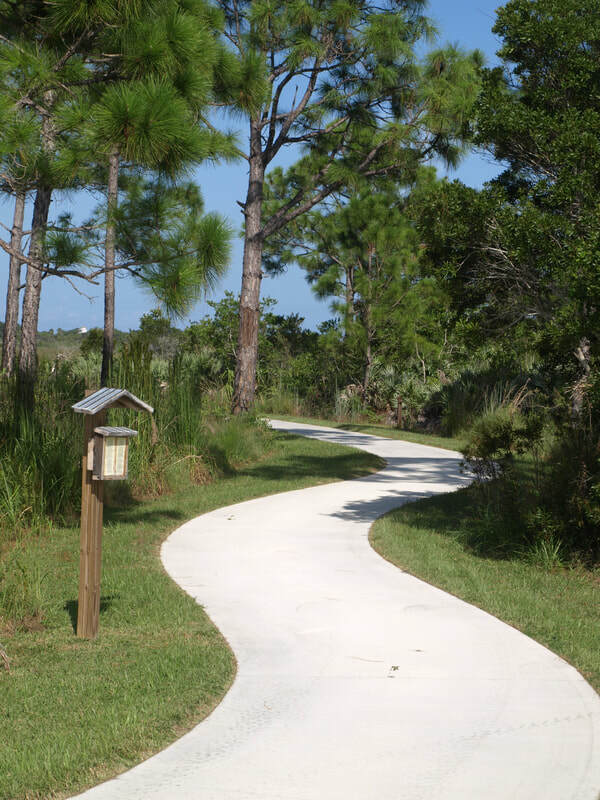 If you are looking for a short quarter-mile walk near the Education Center, the Glass Lizard Trail is your hike of choice. A journey through a pine flatwoods habitat loops around to the marsh edge of what can be commonly referred to as an "ecotone" or place where two ecosystems meet. 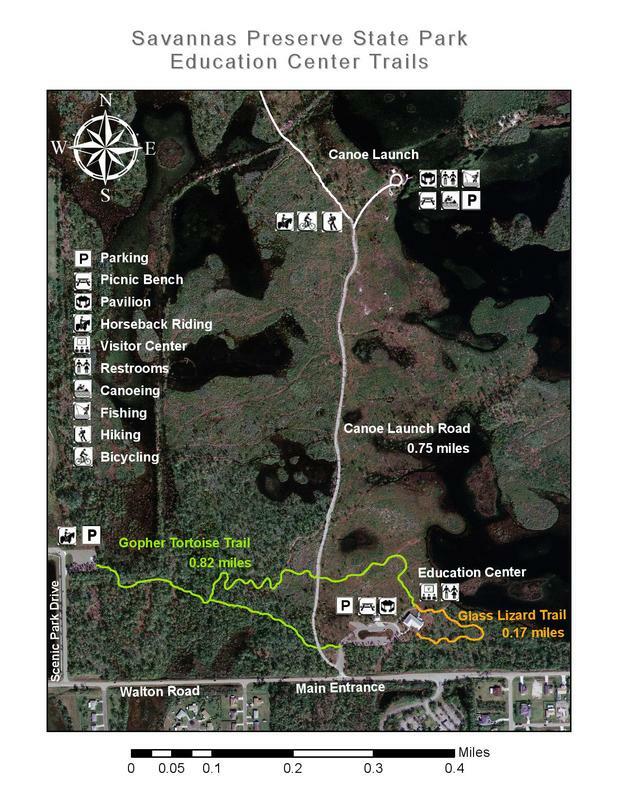 For a longer hike, take a look at the Gopher Tortoise Trail that spans roughly one mile through flatwoods terrain. The end of the trail leads you to our equestrian parking lot where equine enthusiasts can bring their horses to trail ride through the park. Water and a trailer turn-around area are available. Please phone the Education Center (772-398-2779) Thursday-Monday to obtain the gate code for the equestrian parking lot. Hikers may borrow self-guided hiking booklets for each of these two trails from the Education Center, Thursday-Monday.